When someone mentions “Israel,” wine is rarely the first thing that comes to mind. 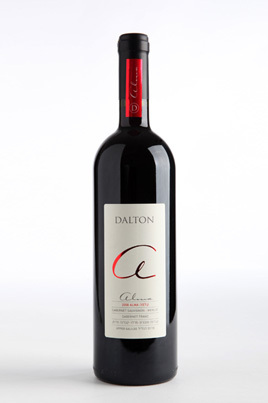 That wasn’t the case for Londoner Alex Haruni, who in 1995 established the Dalton Winery in the Upper Galilee, the area’s first large-scale producer of world-class kosher wine. When Haruni first visited the area, the Australian-and-Californian trained winemaker immediately acknowledged the Galilee’s unique conditions for growing grapes. With soil over 800 meters above sea level, hot day time temperatures and chilly nights, the vicinity offers a one-of-a-kind area for kosher wine production. The Winery is now located in the mountainous country overlooking the Hermon Mountains, just five kilometers from the Israeli-Lebanese border. Approximately 800,000 bottles of Israeli wine are produced annually… all of which are sold out past 2011! But don’t confuse them for some mass-producer of junk wine. Their commitment to quality was on display in 2008, when they opted not to release a recent vintage of their popular Moscato solely because it didn’t meet their standards. “Some people said we should just sell it (anyway),” said CEO Moshe Haviv, and there is little argument with that. Up to snuff or not, refusing to sell a popular product is typically never a wise business decision. But Haviv disagrees. “It will cost us a lot of money,” the CEO said at the time. “(But) we couldn’t allow it to be sold.” This is a company that holds its reputation as a leader in the rapidly growing Israeli wine industry in higher regard than its financial bottom line, and they should be commended for it. The Dalton Winery is open for visitors as well, as tours are offered everyday (except for Shabbat and other holidays) from 10 AM to 4 PM. Each tour ends with a tasting, and takes a little less than an hour.